Vector Logistics has selected Business Modelling Associates (BMA) and technology partner LLamasoft for network design, analysis and optimisation, as well as strategic transportation route and fleet optimisation. Vector Logistics, a subsidiary of JSE listed RCL Foods Limited (JSE: RCL), is the leading cold-chain third-party logistics service provider (3PL) for the food industry in Southern Africa, providing integrated logistics services to the retail, wholesale and food service sectors. As a long-term user of a competing supply chain design tool, Vector identified LLamasoft as today’s leading global solution for supply chain modelling and optimisation. After a thorough investigation and evaluation, Vector selected LLamasoft through leading supply chain design consultants, BMA. As the exclusive distributor for LLamasoft, BMA will provide training, implementation and consulting services to Vector with the aim of helping the company build its own internal supply chain design Centre of Excellence. Vector will utilise LLamasoft’s market leading technology to run supply chain optimisation projects both internally across companies in the RCL Foods group as well as offer the service externally to its principals and clients. 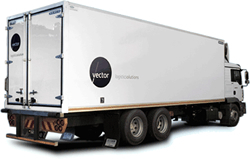 Vector Logistics, a subsidiary of JSE listed RCL Foods Limited, is the leading cold-chain third-party logistics service provider (3PL) for the food industry in Southern Africa, providing integrated logistics services to the retail, wholesale and food service sectors. Business Modelling Associates (BMA) is a consulting and solutions development firm, specialising in supply chain design and next generation business analytics applications. With operations in Africa and the UK, BMA helps clients compete and win by giving them the tools to visualise, analyse and optimise their key decisions. BMA is exclusive distributor in the Sub Saharan region for LLamasoft, the global leader in supply chain design software solutions. LLamasoft supply chain design software helps organisations worldwide design and improve their supply chain operations. LLamasoft solutions enable companies across a wide range of industries to model, optimise and simulate their supply chain network, leading to major improvements in cost, service, sustainability and risk mitigation. Headquartered in Ann Arbor, Michigan, LLamasoft is a leader in supply chain excellence and innovation, advancing technology focused on continuous improvement of enterprise supply chains for the world's largest organisations.